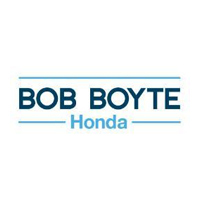 Bob Boyte Honda, also serving Meridian, is the local resource center for all of your Honda automotive needs. We are a full-service dealership with an extensive inventory of New Honda models and certified pre-owned Honda models. The term “full service” extends to our Parts Department, which provides a larger variety of parts and accessories than many other dealerships. Our Parts Department is fully stocked with Genuine Honda Parts and Accessories, OEM Parts and aftermarket parts. Our convenient Honda eStore enables you to order the parts you need and have them delivered to your door. Local service and body shops get the added benefit of free delivery to your business within the Jackson Metro area. Just contact Bryan Shoemake, Parts Manager, for more information. We have won the President’s Award, Honda’s most prestigious and coveted award for 9 years in a row. Our Parts Department’s inventory and services are a significant part of our overall success in serving our region, including Hattiesburg. Each month we offer new Parts and Accessory Specials and Discount Coupons to help you save money, so check our website often for recent updates. Our knowledgeable Parts Specialists will gladly help you determine which part you need and help you find it. If we don’t have it in stock, we will get it quickly. Our online Parts Request form is just another way you can begin your search for the part you need. We will respond promptly to get more information or let you know when the part is ready for pickup. If you decide to forego installing a part or accessory yourself, our ASE Certified Technicians and MasterTechs will gladly install any part or accessory you purchase in our Parts Department for an additional fee. You can find us at 2188 Highway 18, Brandon, MS 39042, only an hour’s drive from Vicksburg. Please feel free to give us a call at 601-591-5000 to speak with our friendly Parts Department specialists. We look forward to earning your loyalty. Please use the buttons below to order parts or contact our parts department. We can be reached by phone at 601-591-5000.